Prepping for a family reunion, a casual cookout or an impromptu get-together? Kick your old stand-by side dish to the curb and try one (or a few!) of these 10 delicious cookout sides that add an exciting spin to traditional recipes. Bonus: They cook up in 30 minutes or less, which gets you out of the kitchen and into the party faster. There’s a reason potato salad is party regular: It’s a classic that everyone loves! Our version saves you time from peeling Russet potatoes by using red potatoes instead. 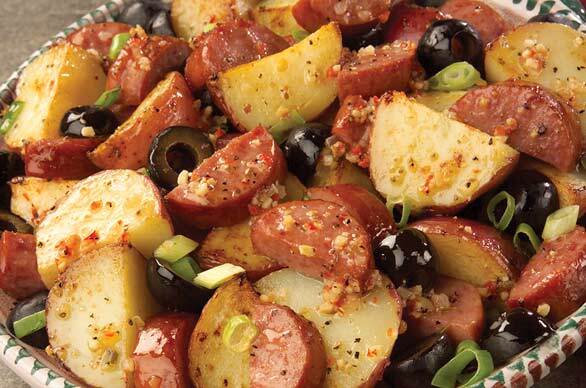 The zesty Italian dressing, olives and Eckrich Smoked Sausage combine to make a savory side. Scrap the iceberg lettuce and delight partygoers with this protein-packed and vitamin-rich spinach salad. Bring it in a casserole dish and then add the yogurt dressing once you arrive. Get the recipe. A long-time appetizer favorite, Lil’ Smokies cocktail smoked sausages make a great side dish. This easy-to-make recipe combines heat and sweet and takes less than 15 minutes to make! 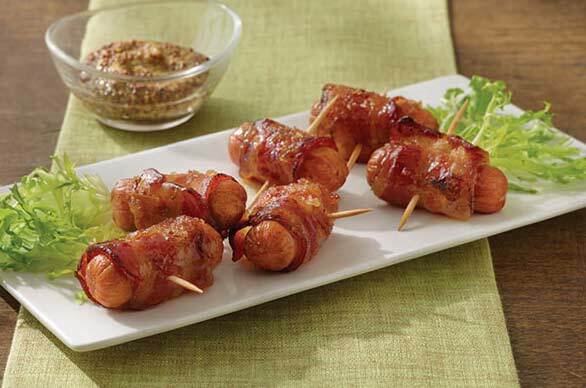 If you have more time, try the Bacon & Brown Sugar Li’l Smokies for another sweet and savory combination. Who said breakfast can’t be eaten any time of day? 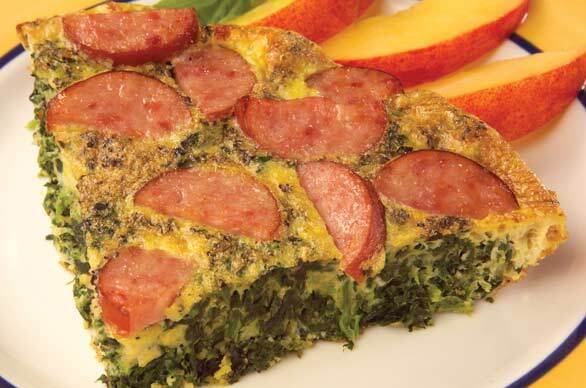 Our Smoked Sausage and Spinach Frittata makes a hearty side dish or can even serve as a main dish, if desired. Top with cheese to add an even richer taste. 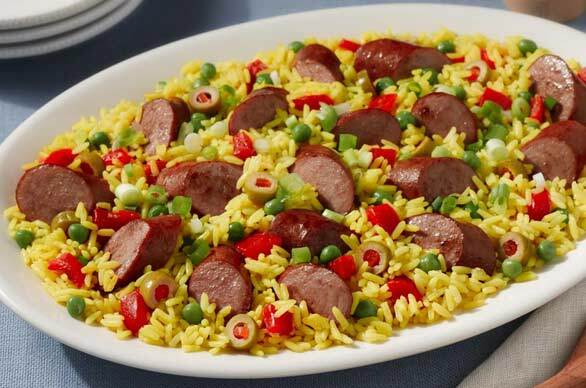 Yellow rice, peas, red peppers, green olives, onions and red pepper flakes come together to add an extra punch to Eckrich Smoked Sausage, making this a scrumptious and filling side that whips up in almost no time! Get our Pan-Seared Smoked Sausage with Yellow Rice casserole recipe. 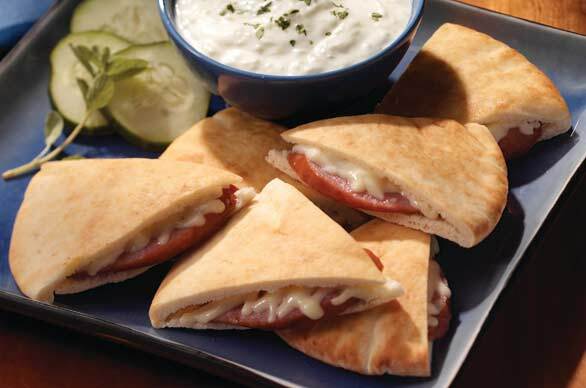 These Smoked Sausage-Pita Wedges are so addictive, they’ll disappear before you set the plate down! The fresh cucumber yogurt dip makes the hearty smoked sausage and Swiss cheese flavors pop for a refreshingly different side. Tacos combine some of the best flavors. 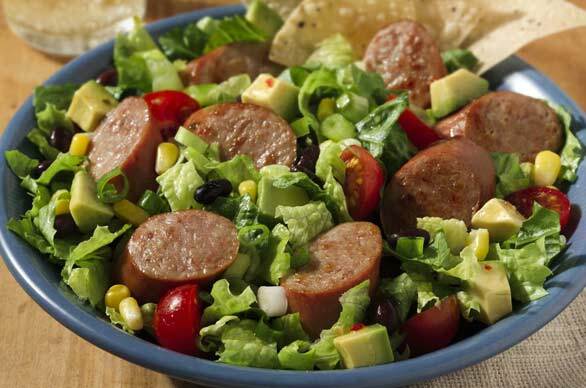 In this salad, black beans, lettuce, corn, tomatoes, onions and avocados complement the smoked sausage to make a savory dish. Add some tortilla chips, and you’re ready for a fiesta. Simple and so scrumptious, these smoked sausage bites are sure to be a hit. 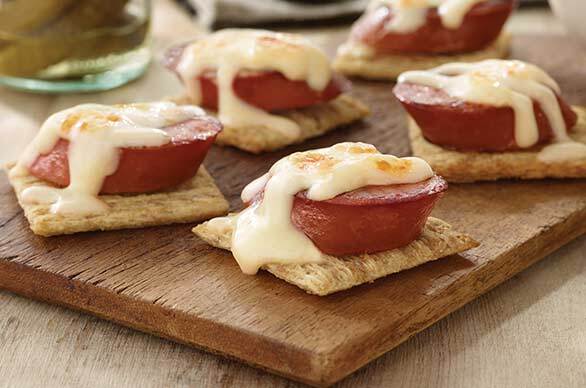 After all, who can resist crackers topped with Eckrich Smoked Sausage and melty cheese? Discover more flavor combos by pairing different varieties of cheese and crackers with your favorite Eckrich Smoked Sausage. 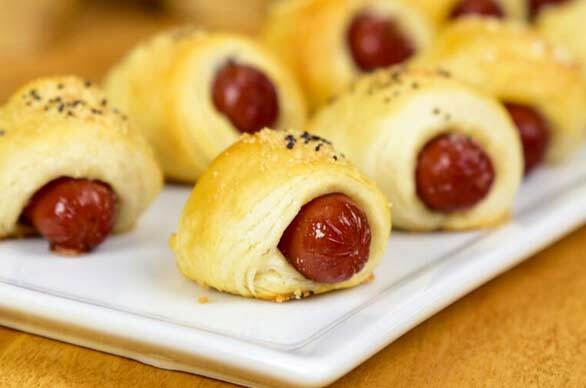 Featuring Eckrich Li’l Smokies wrapped in a warm buttermilk biscuit, these kid-friendly, delicious, bite-sized treats will have everyone coming back for seconds and thirds. Why are they the best ever? Try them and find out! 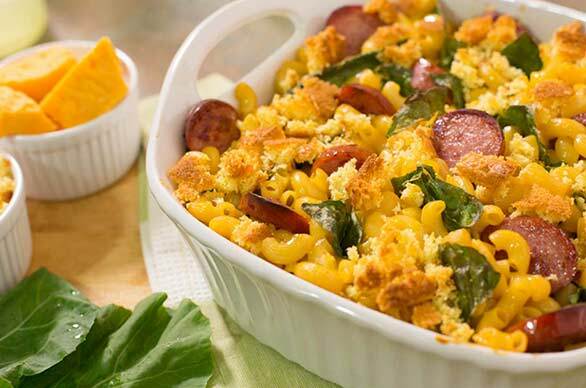 Savory Smoked Sausage, creamy mac and cheese and delicious collard greens adds a twist on this southern classic that your whole family is sure to love. 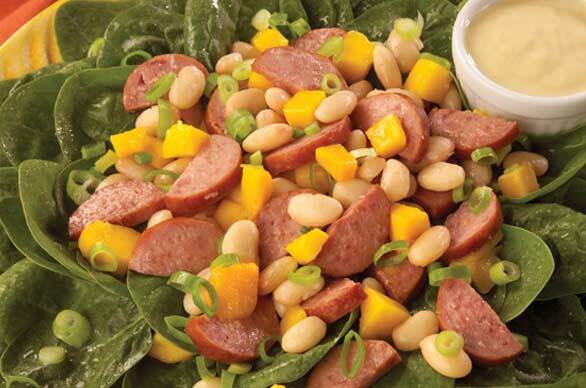 We’d love to see how you used Eckrich Smoked Sausage in your favorite party side dish. Share your photos and stories with us on Facebook.